At just 12-years-old, refugee Muhammet Halit has had a much more challenging life compared to most pre-teens. Originally from Syria, the youngster was forced to flee the harrowing civil war in his home country and is now employed as a shoe polisher in Adıyaman, southeast Turkey. Not the easiest start in life for anyone I’m sure you’ll agree so if anybody deserves a lucky break, it’s this kid. 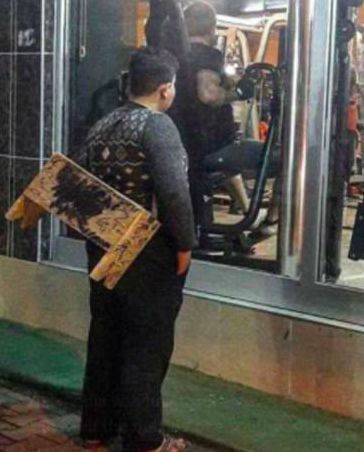 The people of Turkey were left deeply moved by a heart-rending picture of Muhammet, gazing longingly into the window of a bright, shiny gym. With his shoe polishing equipment lying heavy on his young shoulders and flimsy shoes completely inadequate for the winter season, Muhammet looked straight out of a modern-day Charles Dickens novel. 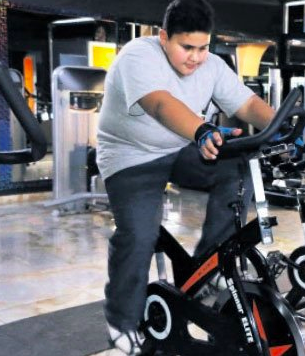 When the gym owners, Engin Doğan, Mustafa Küçükkaya and Dicle Oma saw the emotive image, they knew something had to be done to give the boy a helping hand. The gym owners shared the picture on social media, making enquiries as to the boy’s whereabouts – it was shared thousands of times, with the boy’s wistful gaze bringing a poignant reminder of the plight of far too many children. The picture really drove home the hopes and desperation of children who’ve been displaced by the Syrian conflict and it quickly went viral. Fortunately, they were able to track Muhammet down to present him with a very special gift. Brought tears to my eyes. Too many good people on this earth. It's still very heartbreaking to see a young child taking refuge working as a shoe shiner in a foreign country. 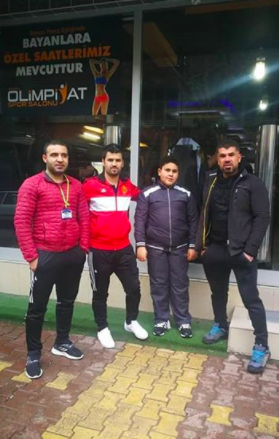 The Olimpiyat Spor gym offered Muhammet a lifetime membership pass for the gym, meaning he can now use the facilities to his hearts content, as well as some clothes to work out in. A boy, looking through the gym window, wearing slippers in the middle of winter and carrying his bagpack … Our aim was to find him and offer him a lifetime membership here. It affected me very much because we came from nothing and we did not have such a gym in our time. The Turkish people are very sensitive about this issue, I am very touched, I think we are doing something very good. I had always dreamed of losing weight and now I believe I can do that by working out. With such supportive new friends, I’m sure Muhammet will succeed in reaching his personal fitness goals. I know one of same age & working as a shoeshiner in Beirut. He has a genius beautiful smile, extremely polite and hard worker. Everybody is happy to take his service as a way to help him. Life is very hard for all Syrian refugees in a world that lost its justice&humanity. People from all over the world have taken to Twitter to praise the gym owners’ inspiring sense of generosity. Sometimes media shows just how powerful it is and how big of a heart the world has. The world is pretty messed up but images like these give us hope to move forward. There is still good in the world…we may not hear about it as much, but it’s there. All is not lost, there’s still hope.. There is still good in the world…we may not hear about it as much, but it's there. All is not lost, there's still hope..?? Unfortunately we can’t care about everybody in the world. But we all should look more around us to take care of someone in the immediate environment! Like that guy did! Thank you Engin?? In a world with so much sadness, simple gestures such as this really can restore your faith in human kindness.